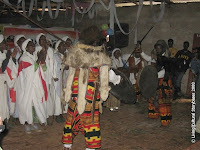 The first day of the important Ethiopian Mesqala festival week in the highlands near Che'enka is celebrated on market day, with the killing of oxen. 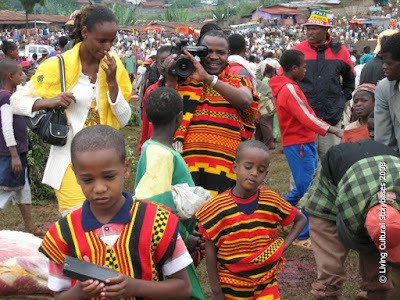 People gather, many wearing the traditional red, yellow and black Ethiopian festival cloth. 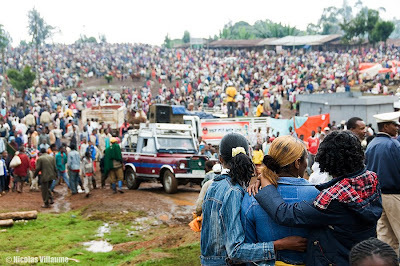 Families and and communities all bring their sacrificial animals to the same open-air market place in Dorze. 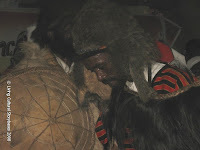 The team visited this famous Masqala slaughter ceremony, in which hundreds oxen are killed and butchered in the midst of a festival atmosphere in the market place. 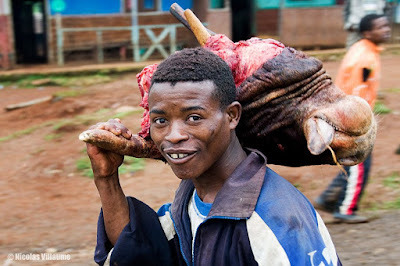 The meat is either supplied right away for sale or taken home. 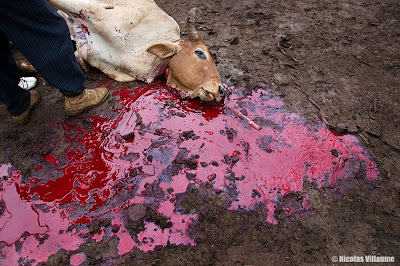 Some enjoy eating the fresh raw meat. 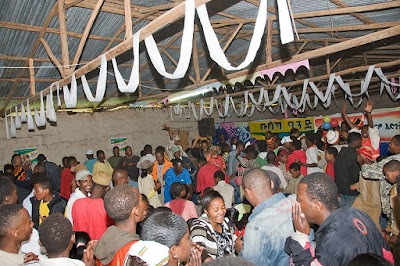 We also attended the traditional music concert in Dorze Weavers’ Association Hall, organized to celebrate Mesqala by the Dorze Cultural Association and Chencha Woreda Administration. 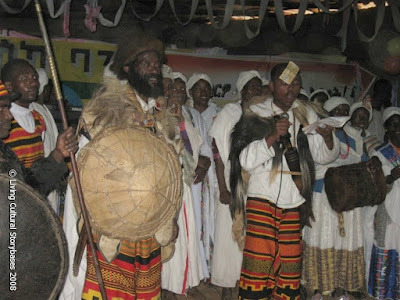 While the enthusiastic audience grew increasingly merry, traditional song, music and dance groups performed in costume, including mock contests with spears and shields wearing lion skins, against a noisy amplification system.